We Produce The Vegetables That Make You Fine. We’re professional organic farming company in Tottori Prefecture, Japan. The director is Shuichi TOKUMOTO who got into agriculture from IT industry. He became a father for three children when he worked at Tokyo as IT-Sales. As you may know, there’re no nature in Tokyo. In addition, vegetables that sold at a market in Tokyo are not fresh, as children’s meal at least. He thought it’s not good for his children, because his hometown “Tottori” has many beautiful nature and he grew up there with delicious vegetables when he was child. Therefore he thought “I have to go back to Tottori with my family for starting my agriculture!” It was 2009. We’re Producing High-Quality Organic Vegetables. We DON’T use any chemical fertilizers and agrichemicals. We’re farming along three important point-of-views that physical, chemical and microbial. These methods able to brings around 5 times of quantity of vegetables more than custom and traditional agriculture in Japan. Where is our field in Japan? We’re working in a Japanese traditional farming village named “Iizato” (Tottori Pref, Japan). There’s a lot of beautiful nature. Especially water named “Fuse-no-Shimizu” has selected beautiful natural water of Top 100 in Japan by Ministry of the Environment. In 2017 / Komatsuna, Potato and Carrot. Authenticated by Japanese organic vegetable certification system “JAS”. What does our name means? 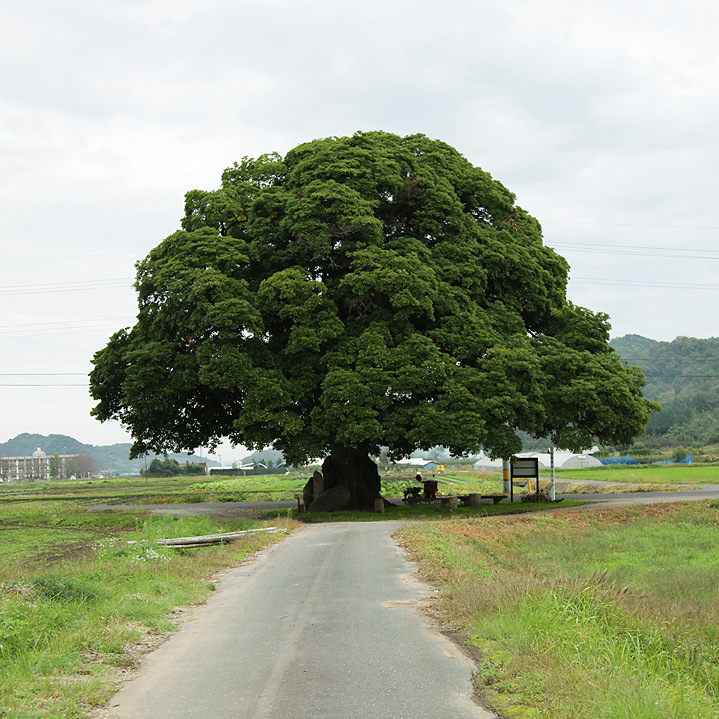 This big and old tree in the photo is near our farm, named “Ootabu-no-ki”. Our name is TREE & NORF. TREE included on our name is this tree, and NORF means Farmer in Japanese. We imagine that we’re farming at our farm near the tree with smile, and it must be very beautiful scene. We’re very sorry, but inquiries by phone will be in Japanese only. Email can be inquired in English.